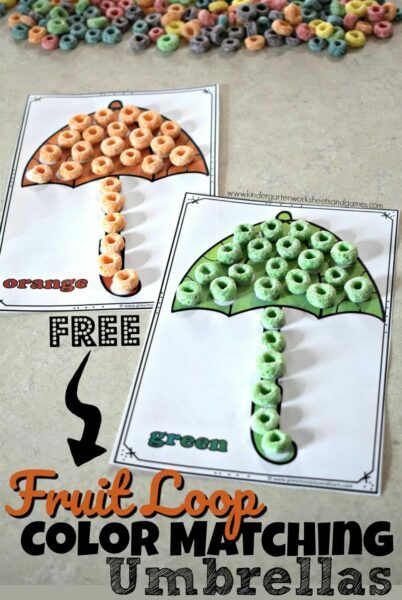 Kids will have fun learning colors with FREE printable Fruit Loop Color Matching Umbrellas! 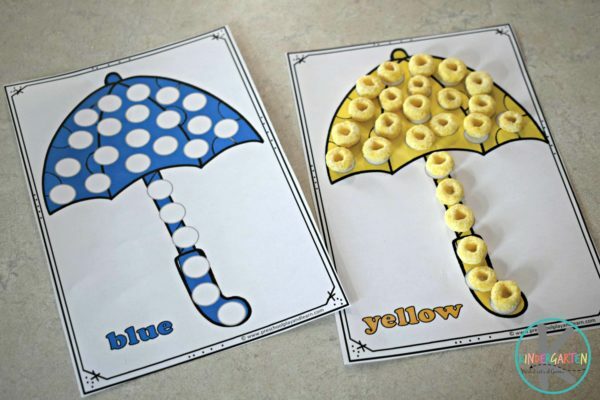 This hands on math activity not only helps with color recognition, but strengthening fine motor skills! 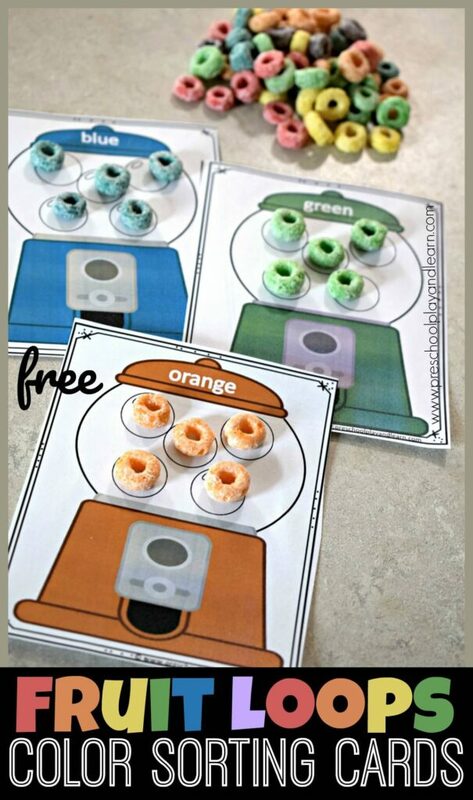 This free printable kindergarten math activity makes it FUN to practice colors. 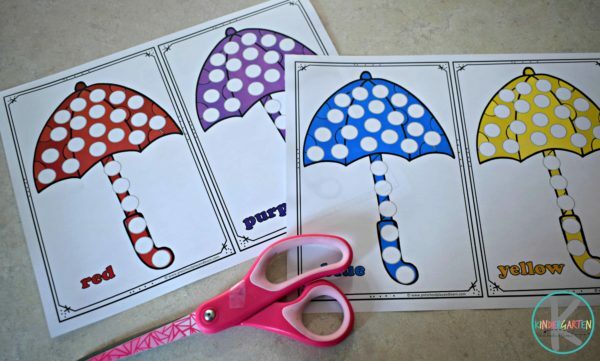 Start out by printing the pages of umbrellas with white spots. I suggest printing on cardstock or laminating for durability. 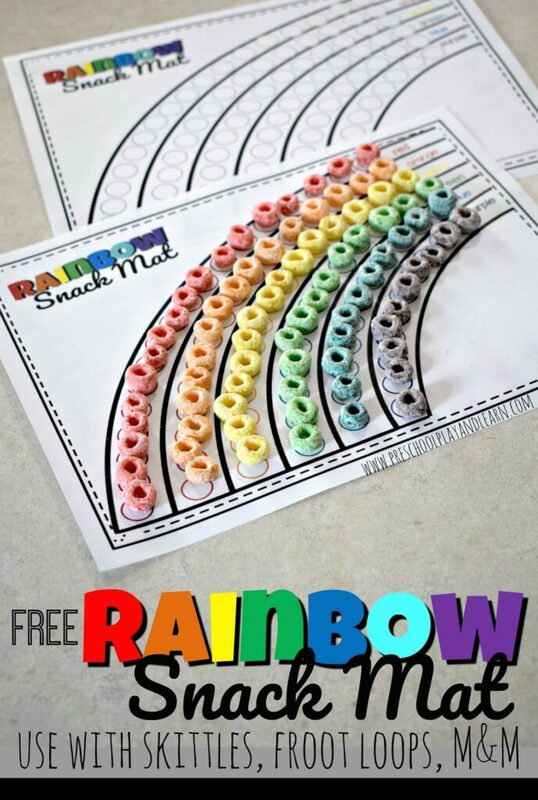 This makes a great snack mat, math center, or spring kindergarten math activity at home. Then cut the pages in half so you have 6 different colored umbrellas: red, orange, yellow, green, blue, and purple. 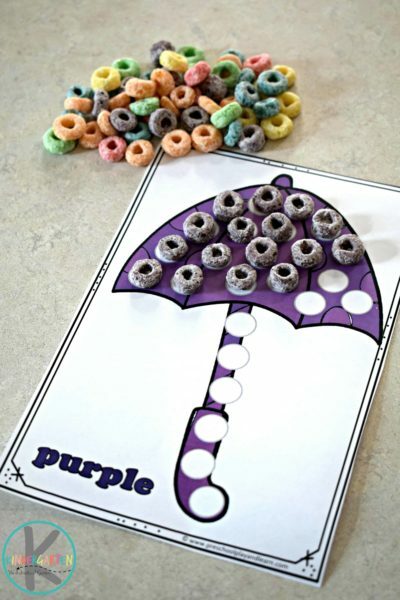 Kids will practice one to one correspondence by putting the correct color fruit loop on the umbrella spots in this fruit loop activity. 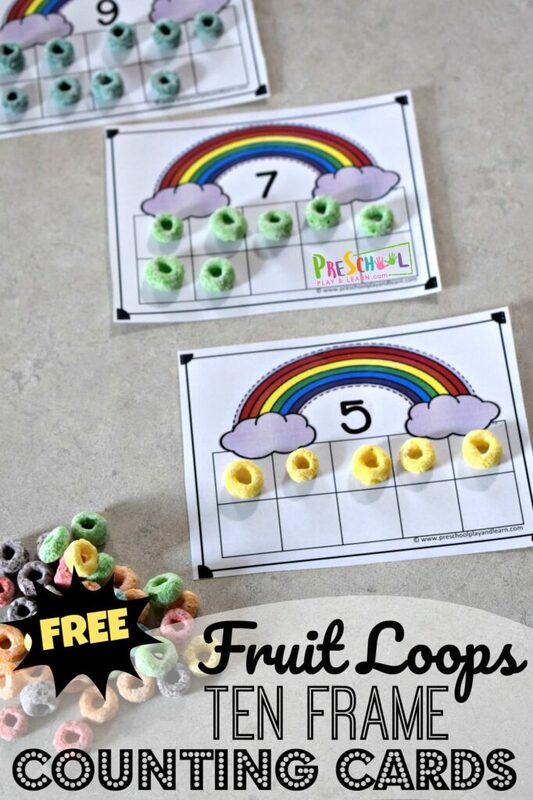 We used fruit loops, but this activity would work just as good with colorful skittles, M&M, bingo markers, or other math manipulatives.